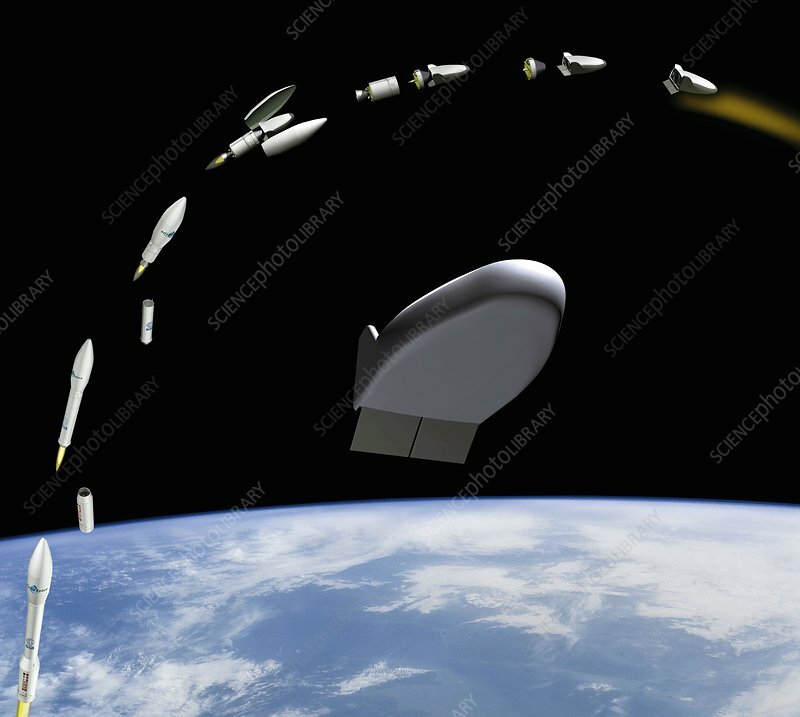 Launch of IXV re-entry vehicle, artwork. This spacecraft is the Intermediate eXperimental Vehicle (IXV) planned by the European Space Agency (ESA) for launch on a Vega rocket in 2015. The sequence shows the spacecraft being launched by a Vega rocket at lower left, deployed in Earth orbit (top), and then re-entering the Earth's atmosphere (upper right). The IXV is a testing system, not intended to be crewed and only 4.4 metres in length. It has no wings, but uses two flaps on its lower rear edge to control re-entry. Once re-entry has been achieved, parachutes are deployed.